It’s always fun testing one of these hot new capsule coffee machines in the office, and having put the larger Circolo machine (review) through its paces, the new Mini Me landed just in time. If there ever was a machine made for the bachelor, it’s the Mini Me, looking less like a small Austin Powers and more like a little Wall-E. This little coffee robot is suitable for bachelors for a number of reasons. Firstly its small size, which, true to its name, does not take up a lot of space, fitting snugly between your toaster and microwave. It’s also quick to the draw, with the water being ready to use between 20-30 seconds. You’ll get three cups from its 800 ml water capacity (depending on what you drink), but here’s the clincher – it does not have to be boring coffee all the time. 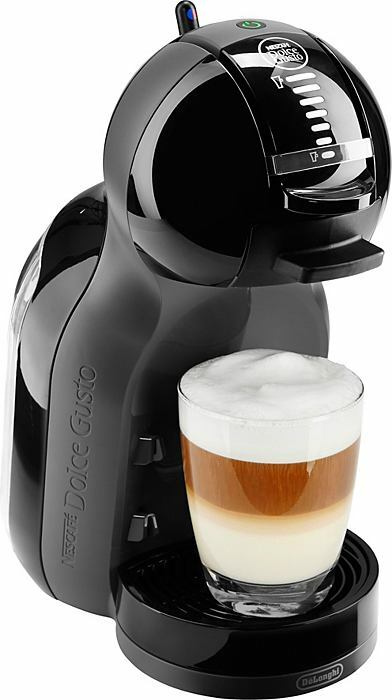 The Dolce Gusto system’s ace up its sleeve is the large number of flavours at its disposal, including americano, cappuccino, chococino, mocha and even tea or cold drinks. Having worked our way through a number of these, some are definitely tastes better than others, with the latte macchiato coming out firm favourite. The majority of these also don’t need any milk, so gone are those ‘oh-damn’ drives to the garage. The Dolce Gusto’s trick to how it can make all these different types of drinks lies in its capsules, since for the majority of drinks you need to pop in two or more pods. For example, your cappuccino requires both a‘milk’ capsule, and a coffee one. The whole process is quick and easy, although getting the cup adjustment tray to fit to the right height so that the coffee doesn’t splash is sometimes difficult. This is barely a complaint though – the Mini Me is 99% hassle-free. Where the Circolo machine costs R2 500, the Mini Me is a more affordable R1 650. The capsules come in at around R80 per box (16 pods), which differs in the amount of servings on offer. The americano box offers 16 servings since only one pod is needed, while the cappuccino box only offers eight servings (two pods needed for one cup). Pods can become expensive. Moving of plastic tray can be difficult.